Round wire butcher blocks are used for a gentler scrub than the flat wire counterparts. 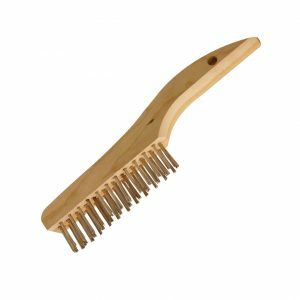 This butcher block scratch brush is excellent fro removing layers of food from butcher blocks and cutting boards that can possibly contaminate other foods. 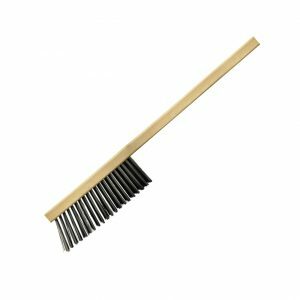 Fitting perfectly in your hand, you’ll be able to get the job done right with our extra thick bristles. 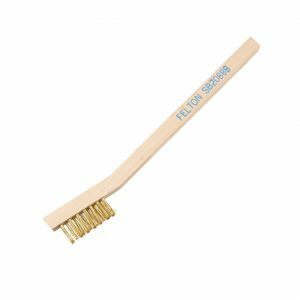 This scratch brush is perfect for scrubbing broilers, grills, frying pans, or even walls and floors. 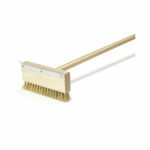 Round wire butcher block scratch brushes are used for a gentler scrub than the flat wire counterparts. High grade wires will not break off – even with the most vigorous scrubbing. Designed to scrape away layers of food from cutting boards and butcher blocks that can potentially contaminate other foods. 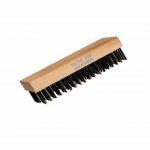 These butcher block scratch brushes are excellent for removing layers of food from butcher blocks and cutting boards that can possibly contaminate other foods. Fitting perfectly in your hand, you’ll be able to get the job done right with our extra thick bristles. 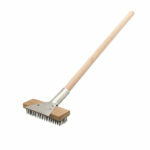 This brush is also perfect for scrubbing broilers, grills, frying pans, or even walls and floors.